Today started off with a bang! Literally. I woke up at my regular time 6:30am and couldn’t go back to sleep. I dilly-sallied in bed till 8:00am when I decided to walk Yuki and Kaya. By then there was no hint of sleep left. I fed the dogs, made breakfast and by 10am was seated in my office, in front of my computer ready to tackle the projects I had lined up. I had to edit 6 chapters of my manuscript and complete a 60 page craft research paper for my MFA degree. But of course I detoured to Facebook where a few of my cohorts posted pictures of their Master’s degree diploma. Suddenly it dawned on me that I hadn’t received mine. I secretly hoped it would come in the mail today. Later when my dogs started barking at the front door, I said a quick silent prayer and opened it. There propped against the door jam was a very large white envelope. I snatched it up and hurried back inside forgetting the mailbox and it’s contents. 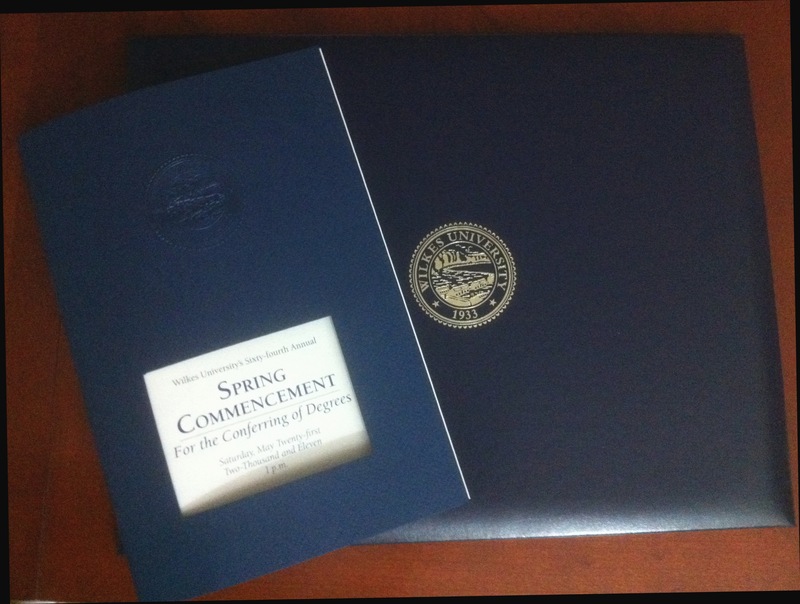 I pried open the envelope then pulled out the largest diploma I’d ever seen. Tucked inside that was the commencement booklet with my name in print. Needless to say I’m beyond thrilled. But yes, I’m already knee-deep in my pursuit of a second Master’s degree though this time it’s a MFA Creative Writing Degree. What’s the difference you say? Well, the Master of Arts allows me to teach English, Creative Writing, or Screenwriting from kindergarten up to and including Community/Junior College. But with the Master of Fine Arts, I can teach all levels including University students. Of course the hardest part to all this is finding the right teaching opportunity. Nevertheless, after taking a few quick photos and sending them to hubby, I dutifully went back to work. I finally stopped working at 10pm. I’ve finished editing those 6 chapters and worked on the research paper which I’ll do my best to finish tomorrow. I’m now in bed winding down as I write this post and I’m feeling extremely tired. I’m one step closer to my dream of being able to take my dogs to work with me permanently–code for being my own boss. All in all, I’ve had a productive, thrilling, and successful day. This entry was posted in Midnight Hour, Musings and tagged Creative Writing, Degree, Master of Arts, Master of Fine Arts, Master's degree, Screenwriting, Teacher. Bookmark the permalink.